Muslims have become a target of discrimination in public settings as well as in the workplace. Under employment laws, discrimination could involve adverse action, including failure to hire, demotion, or termination. It could also mean disparate treatment in the workplace or failure to accommodate a protected class. The Supreme Court has agreed to hear a case concerning the rights of a woman to wear hijab while working at Abercrombie and Fitch. The case originated in Oklahoma in 2008 and has made its way to the highest court. While some countries have banned full covering or headscarves in schools (France, Denmark, Germany, Turkey, Russia, and China), the United States has generally given protection for religious garb. Briefs have been submitted to the court from a host of civil rights and anti-discrimination groups to prevent a private company from prohibiting hijab in the workplace. Under the Civil Rights Act of 1964, private companies are prohibited from refusing to hire or discharging an employee based on a religious observance and practice. This is not the first case involving hijab that has been brought into state and federal courts. In 2004, a lawsuit was filed on behalf of a sixth grader who wanted to wear hijab in her public school. 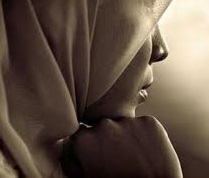 The school amended policy, paid a settlement and made the decision to allow hijab in school. Another case in Michigan involved a woman who refused to take of her face mask in court. The ACLU argued for a religious exception to courtroom attire. In 2009 the Michigan Supreme Court ruled that a judge had the power to order witnesses to review covering when testifying. The ACLU has gone to court in California, Florida, Michigan and Oklahoma to fight for a woman’s right to cover her head and face in schools, courts, and in the workplace. Discrimination in the workplace can limit an individual’s right to work, result in a hostile work environment, and retaliation. In the event of discrimination based on religion, race, gender, national origin, sexual preference, or other class protected under California law, individuals should take action. Our Orange County employment law attorneys are dedicated to protecting the rights of employees. We will investigate any allegation, review the facts, and provide strategic guidance to achieve optimal results for any client. In this case, the Supreme Court will need to weigh the separation of religious interests and the state, freedom of religion, as well as the rights of private businesses versus individual civil liberties. While many see the hijab as a violation of woman’s liberties, others see it as a simple religious expression that should be protected in the workplace. Our legal team understands the complexities of employment and discrimination laws in California and nationwide. If you believe your rights were violated or you were a victim of discrimination in the workplace, we can protect your interests and pursue compensation on your behalf. Every case is unique and demands a thorough review by an experienced employment law attorney.